This is one of the easiest mason jar gifts you'll ever make! 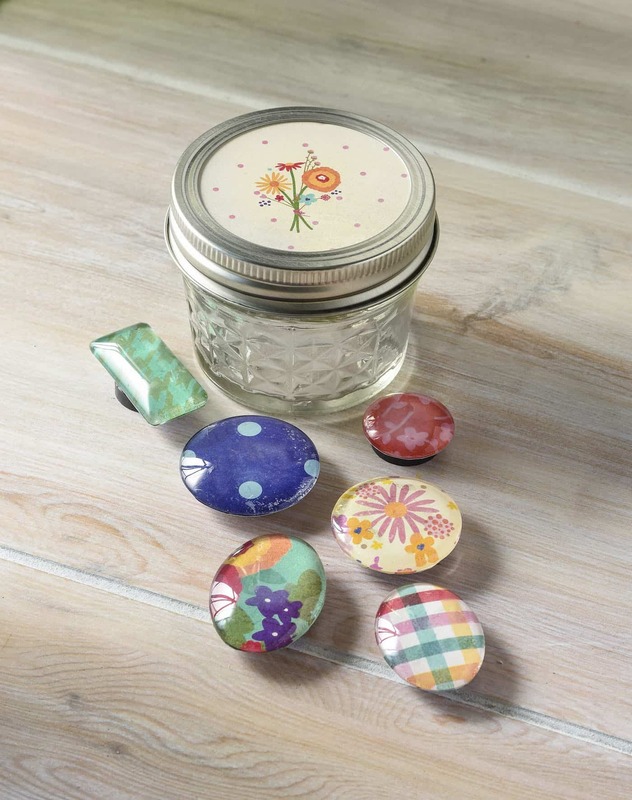 This jar includes handmade magnets that take minutes to make. Simple and cute! Are you looking for a quick hostess gift idea? I'm all about handmade gifts for those situations! If you are too, I have something REALLY easy, quick, and budget friendly for you. 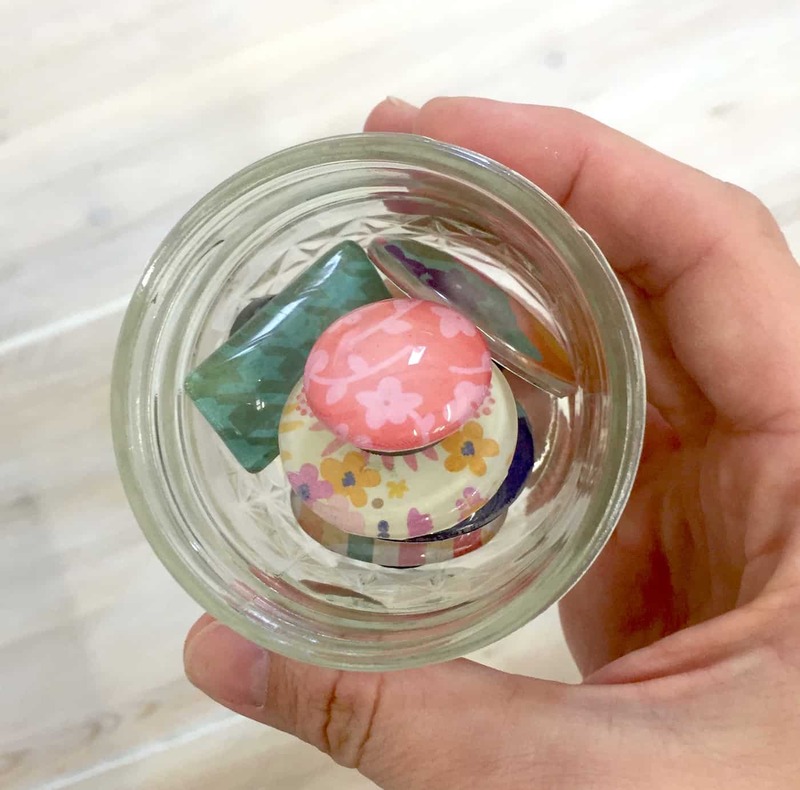 DIY magnets in a mason jar! When I tell you this project is cheap and super simple, I'm not even joking. But the best part is that it's not cheap looking. In fact, I think it looks great, don't you? You can obviously customize with the papers of your choice, just for the recipient. Here's how you do it. 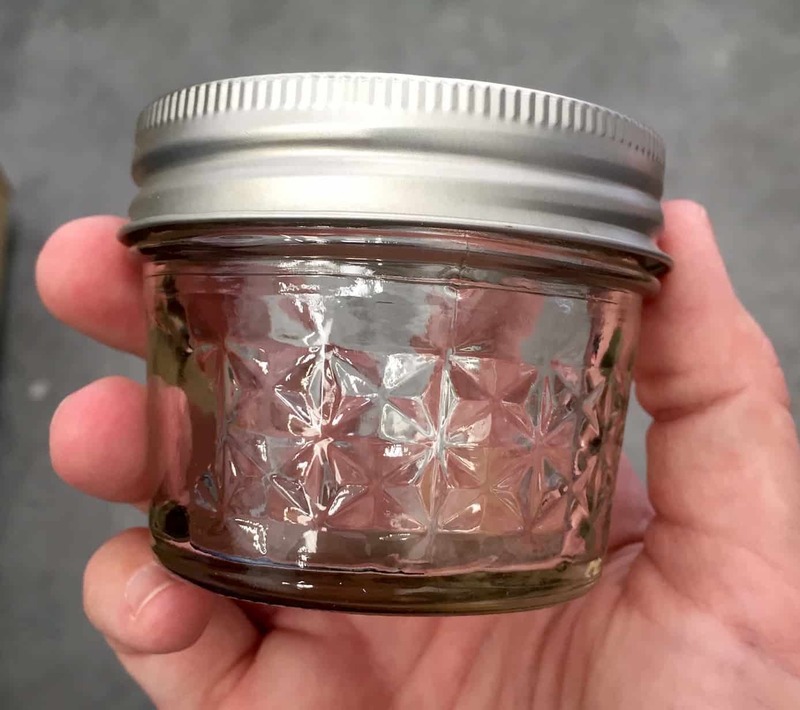 Small mason jar – 4 oz. 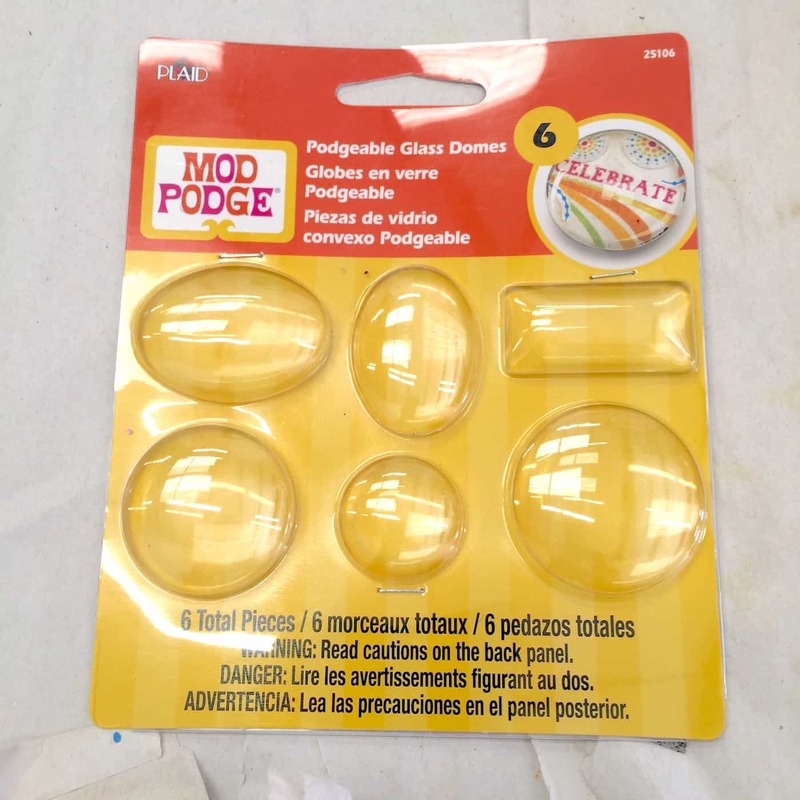 These little Podgeable glass domes are the secret to my project! You can get them online or at Michaels (which is where I got mine). Yes, they are real glass and pretty awesome. 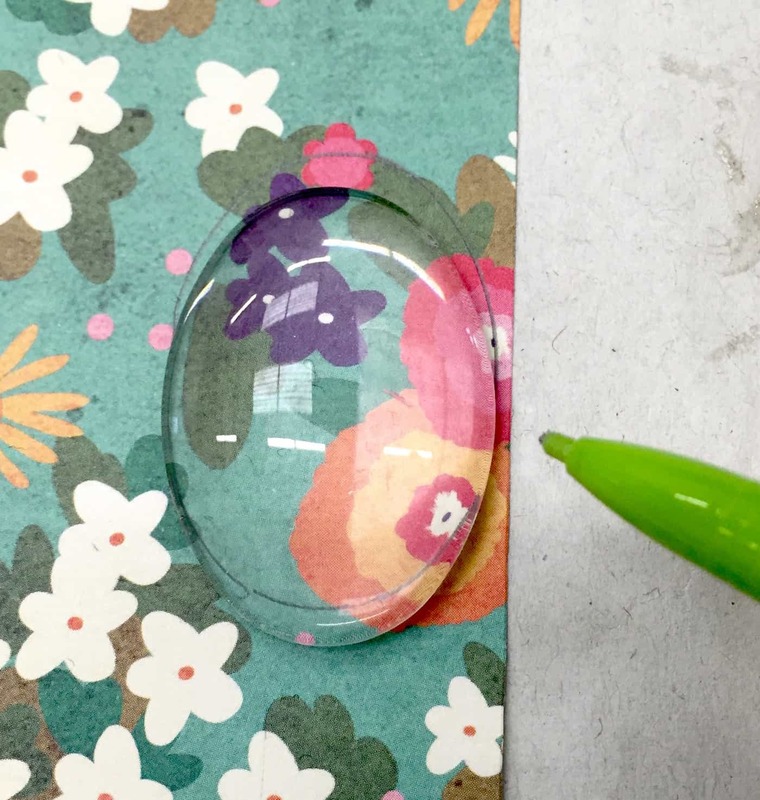 Place the domes on scrap pieces of paper and trace with a pen or pencil. I prefer using a pencil so that I can erase the pencil lines if necessary. Cut the paper out just inside the lines. 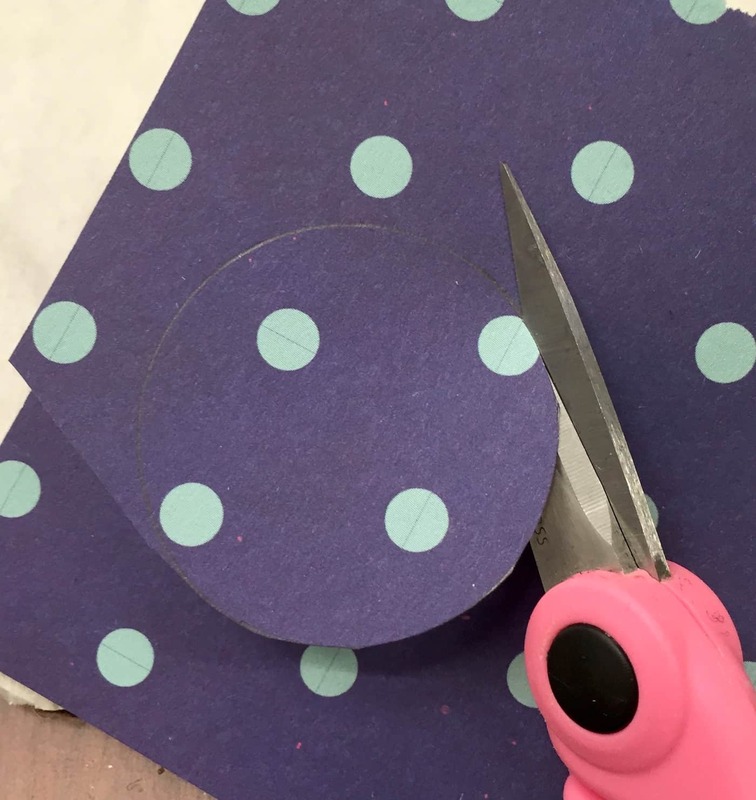 Place a medium layer of Mod Podge on the top of the scrapbook paper (cover the entire thing) . . .
. . . then place the dome down and press/smooth. 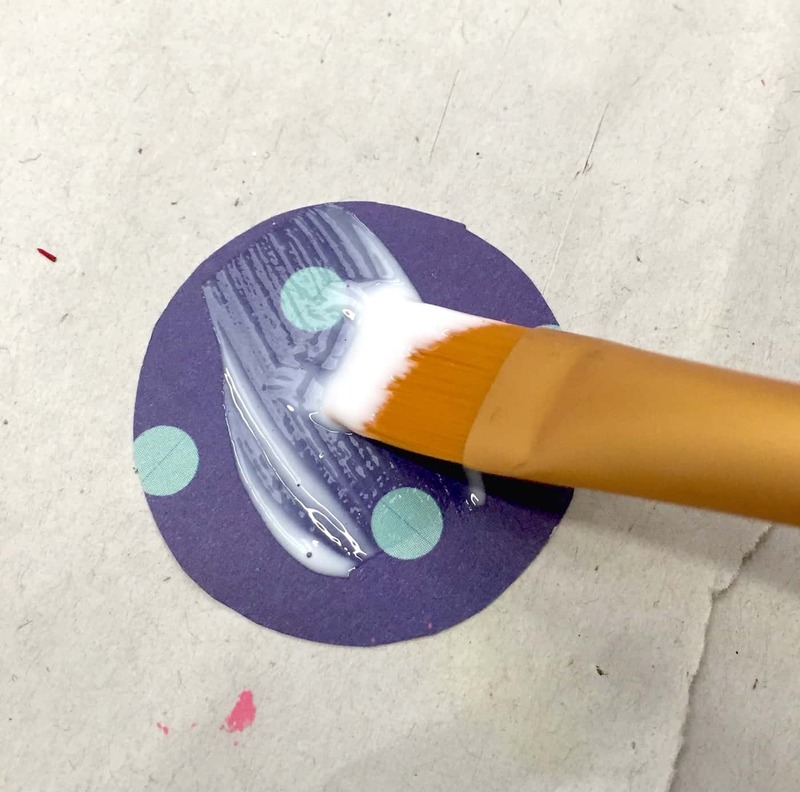 If Mod Podge comes out the sides, wipe it away with your brush. 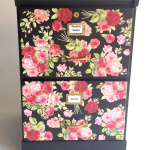 The decoupage medium might look a little cloudy underneath, but it's okay – it will dry clear. Repeat with all of your glass domes and let them dry for a few hours. While you are waiting, bust out your mason jar. I LOVE LOVE these little quilted jelly jars in the 4 oz. size. And they will fit your magnets perfectly! All you're going to do is make a paper insert for the lid. 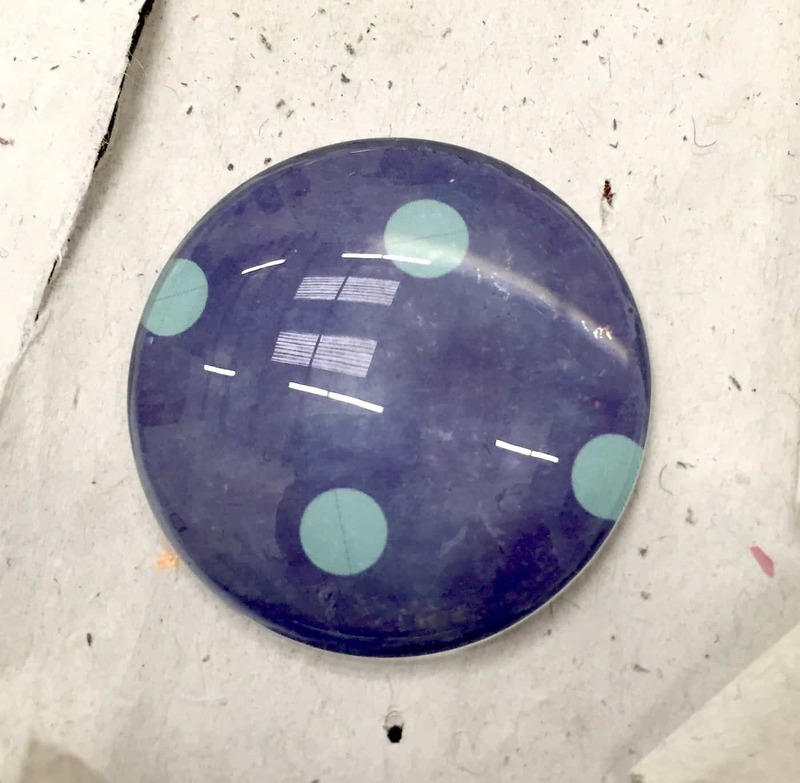 Just trace it, cut it, and insert into the lid ring with the pattern facing up to the top, and place the lid insert in as well. You can secure it if you want to; I never do and it sticks in there just fine. Now go back to the domes. 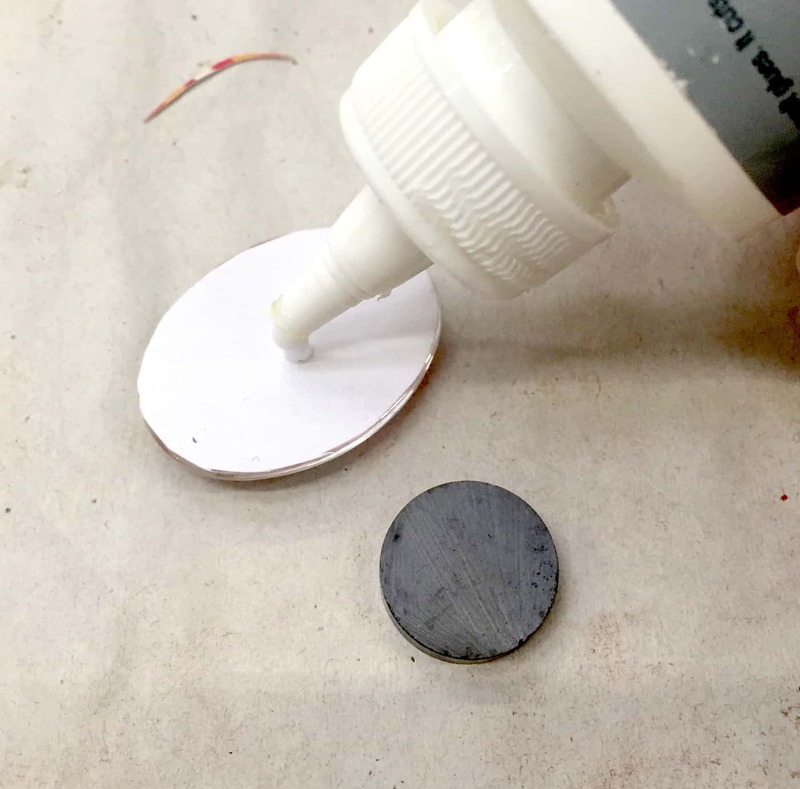 Glue one magnet to the back of each one. Let those dry. Place your magnets in the jar. You're ready to gift. 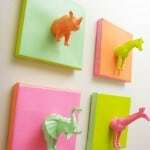 Are these magnets so fun? I absolutely love them! 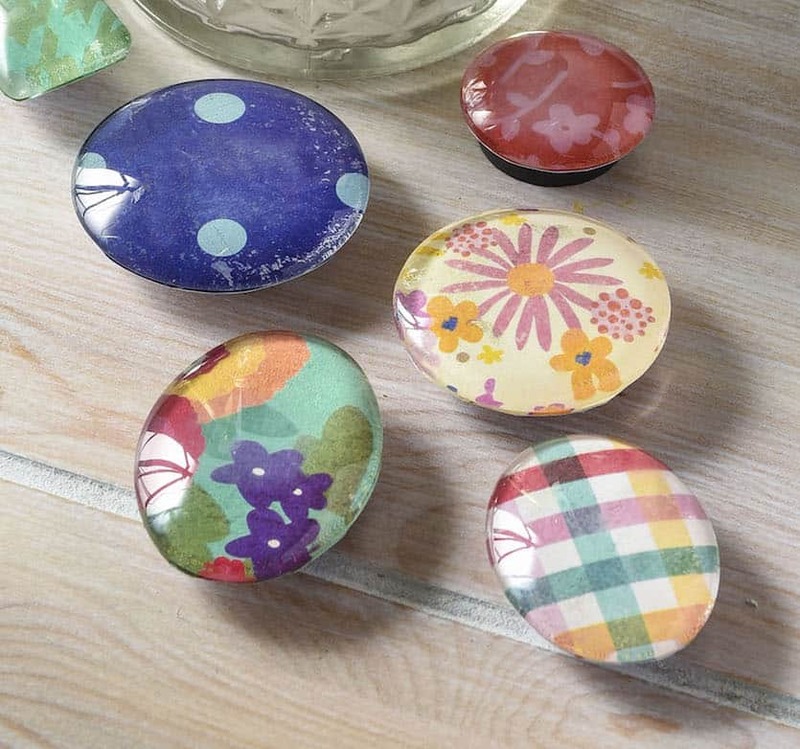 Do you know any hostesses that needs some mason jar gifts, like these magnets? I do . . . and they'll be receiving these! How beautiful, Great step by step idea 🙂 Thanks for sharing!